No single phase of the Canal Zone school program has been more heartily endorsed and supported than the Junior Reserve Officer Training Corps program which was initiated in the Fall school term of 1948 at Balboa High School. The ROTC program was extended last September to the students of Cristobal High School and the response exceeded all expectations. More than 90 percent of the eligible boys, or 115 students, enrolled for the training with the entire freshman class joining. According to the officers in charge of the training, this enthusiasm on the part of the Cristobal cadets has been reflected in the training periods and drills and they give promise of providing strong competition when drill awards are made on the first joint Field Day, to be held in April. Junior ROTC training met with an enthusiastic response when it was first offered in Balboa High School and the enthusiasm has not lessened. During the first year about 200 cadets enrolled from the four high school classes. The enrollment dropped the following year when the training was limited to the sophomore, junior, and senior classes, but the present cadet corps has 165 student members. 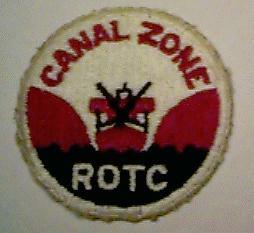 Many civic leaders of the Canal Zone have long recognized the value and desirability of Junior ROTC training. The program was finally initiated in 1948 by Canal Zone school and local military authorities. With the Junior ROTC firmly established in both Balboa and Cristobal High Schools, the students have an opportunity to receive valuable training which will be highly beneficial if they are called into service. This training is available in only a relatively few high schools in the United States. A cadet who completes three years of Junior ROTC training may be given credit for the first year of his Senior ROTC work in any college or university where he enrolls. The local students have shown remarkable aptitude for ROTC work, according to the regular Army commissioned and noncommissioned officers who are assigned to the two units. The history of cadet training for boys of high school and college age dates back to the period immediately following the Civil War. ROTC training was widely used in universities and colleges during the first World War and the National Defense Act of 1920, which provided for the organized Reserve Corps, also provided for the ROTC. Reserve Officer Training Corps consists of three main divisions: The Junior ROTC, a three-year basic course for high school students; the Senior ROTC, a two-year course for college freshmen and sophomores; and Senior Advanced ROTC, a two-year course for college men who have completed the Senior Basic course. Generally, the Junior Division course, now offered in Balboa and Cristobal High Schools, is considered the equivalent to the first year of the Senior Basic course offered in college.